We hear you, gent. 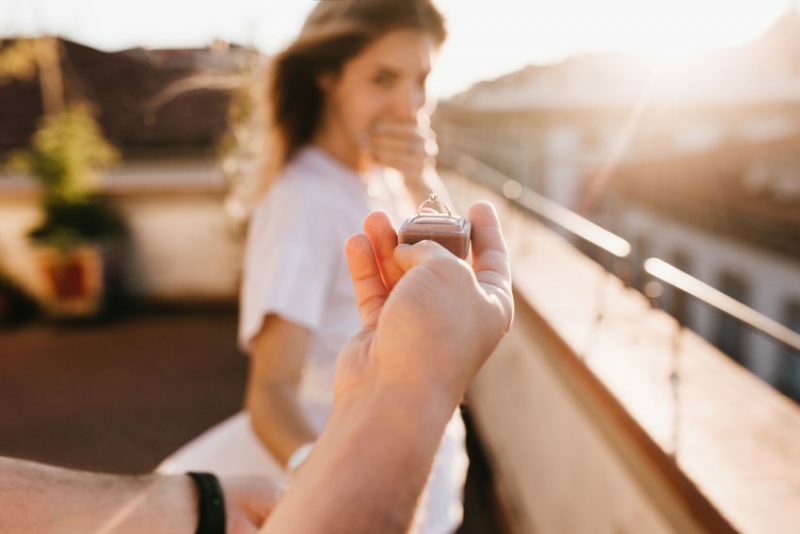 Your bride might have jumped into the wedding preparation the minute you knelt down and proposed; but as the groom-to-be, you should also jump on deck and get your hands dirty with the planning. We’ll get you started! It might be ignored by some, but the reality is choosing a date for the big day is not that easy as it seems. You have to be mindful about a date that will be convenient for both parties, and for your guests. Some won’t be available during the weekdays; but the thing is, most venues charge extra for weekend or holiday bookings. So, you really have to give it some thought. It’s ideal to have around a year of preparation from the date you want to set your wedding day to. That way, you can send save-the-date invitations to your guests at least six months before the event. That will surely give them time to clear their schedule and make sure they can attend. 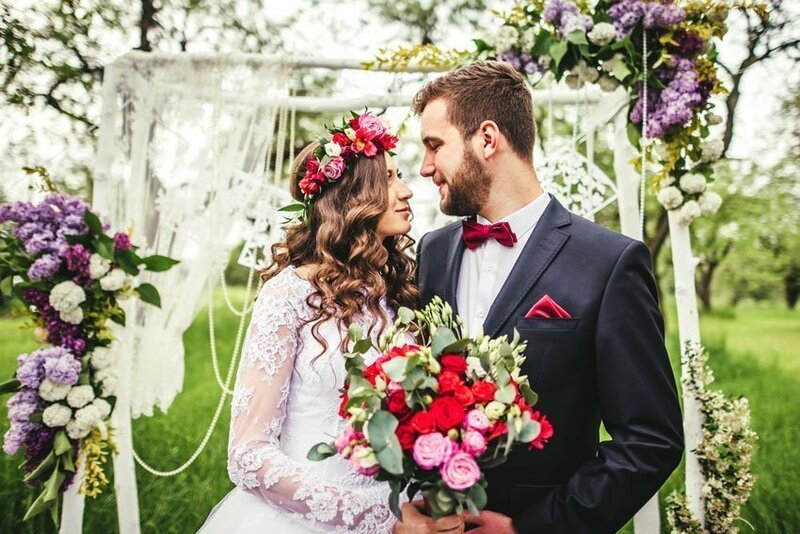 The season you want to get married in also plays a factor, as it will affect what type of gown and suit will be appropriate. Some materials fit winter better, while some styles and cuts are meant for summer weddings. It’ll also be a factor to consider if you’re looking into outdoor weddings. This is definitely one of your top priorities. The venue, catering, and all the other logistics will be set once you finalise the list of attendees. It is very crucial to be hands-on with this and have a solid communication with your bride about the people to invite. You may also need to consult both of your parents about relatives or family friends attending your wedding. It could also help you set a ballpark figure for the whole event’s budget. Keep in mind that you will pay for each guest on that day. So if you’re on a budget, it’s practical to make sure you prioritise people who truly matters. So, you have checked some boxes by now. With the date, a guestlist, and a wedding theme, you can now start to figure out your budget range. There are parents who sponsor a portion of the expenses. But if you are going to shoulder the bills on your own as a couple, a reliable communication between you two will be very crucial. Always remember that it’s not just the wedding itself you have to prepare to. You will start a new life together, so make sure you will not spend all your nest egg for just one day, no matter how special the day is. Set a limit, and stick to it. Now that you just got engaged, it’s time to organise your squad. After deciding who your best man will be and asking him the honours, finalise your groomsmen list. We know it’s hard to choose a few, but keep in mind to pick your best mates whom you can trust. 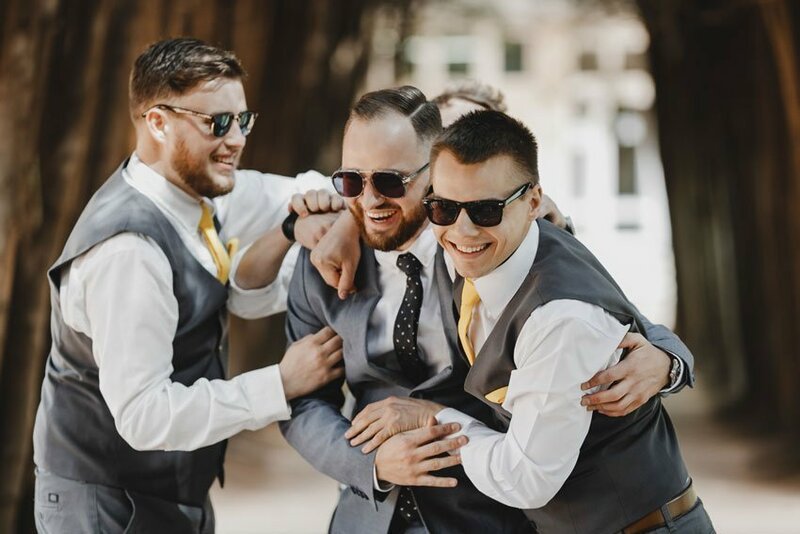 More than just the partying and the dancing, you should have trustworthy groomsmen who can step up with crowd control and reception program participation. As the groom, it’s also your responsibility to make sure the male entourage receive their invitation and keep them in track of wedding timeline and activities. Just like the bride to her bridesmaids, giving away tokens of appreciation is the perfect way to show gratitude to your groomsmen for standing by your side on your special day. The friendship and support these lads showed you even before you got married are something worth treasuring, so we recommend giving them valuable things that you know they can keep and use in the years to come. One of our favourite groomsmen gifts are some elegant cufflinks. You can also personalise and get them different styles or things, depending on what you think fits their individual taste. It’s also an amazing way to showcase your chosen wedding colour motif. For example, since the rise of purple has been an ongoing trend, you can give your groomsmen bows with different hues of purple to wear on the big day, but for them to keep afterwards. 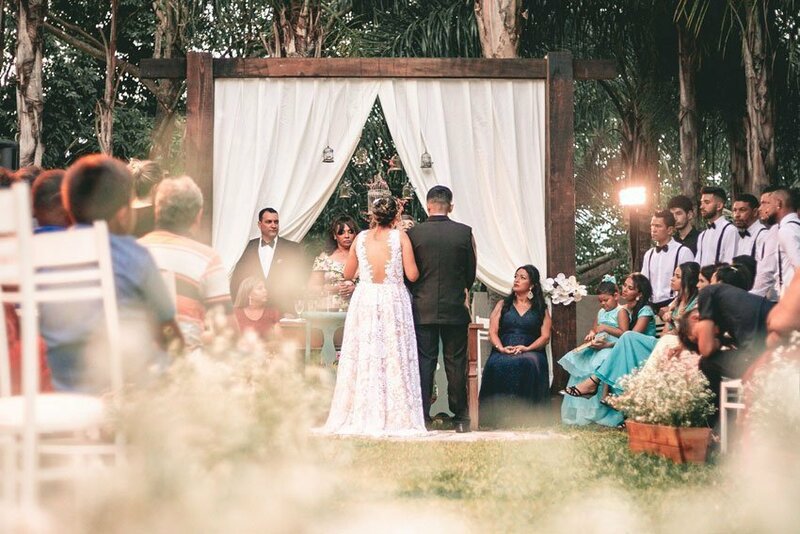 The fact that you will never be able to redo your wedding photos and videos should probably convince you to invest on hiring a professional photographer and videographer team to cover not only your wedding day, but also your pre-nup shoot. With all the effort you poured in assuring to have the best dinner spread, fresh, fragrant flowers on the centre table and stage decorations, and coordinating outfits, you’d definitely want to reminisce them years or decades after your wedding. Hire professionals that will capture beautiful memories and as many details as possible. Moments with your groomsmen, your family, and of course, your bride. 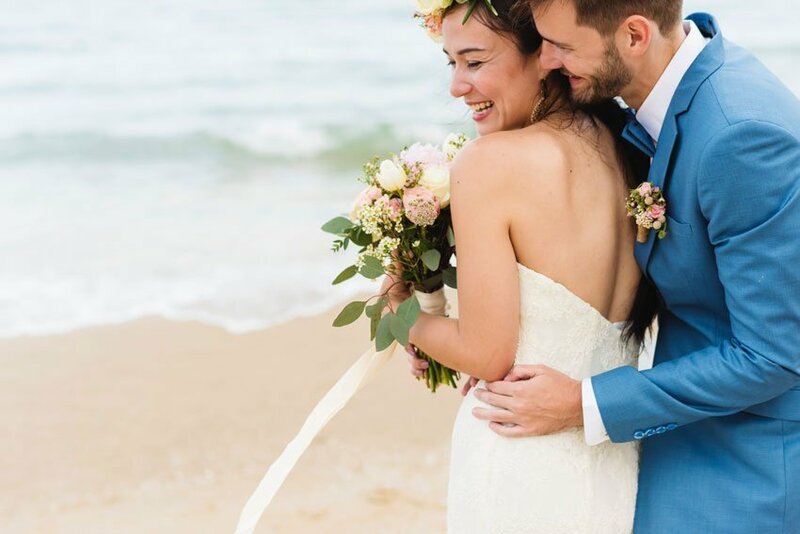 With well-documented videos and photographs on your special day, you can always look back at the laughter, tears, surprises, and the love shared on this happy day. You have to be equally well-dressed with the bride so you can look good, and feel your most polished self on your wedding day. 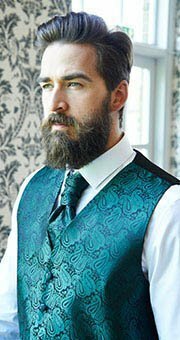 Now, let us get you started on your formalwear planning. First things first, you have to wear something appropriate with the wedding aesthetic. 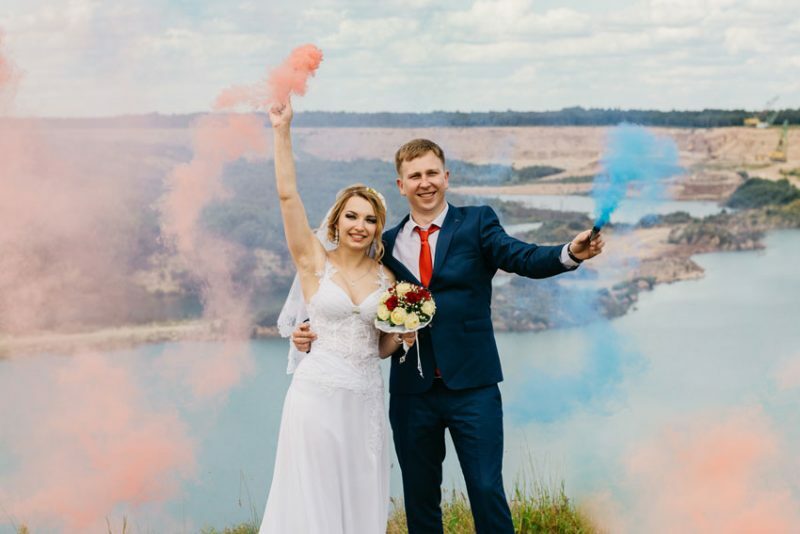 We know, deciding what to pick among hundreds available wedding themes is confusing enough, but focusing on a motif will help both of you and your bride to set the mood for the whole event. Picking out the wedding colours will also be a great head start to plan the whole event aesthetic. For a great balance of masculine and feminine touch on your wedding, try out strong with pale combination. A royal shade of red, like burgundy, can be highlighted with pale accents like lilac and hues of pink for that perfect balance. Just like in painting, finishing touches and a few brush strokes will make or break a masterpiece. Accessories will also do the same for your overall get up. A well-picked tie or bow tie and a perfectly folded handkerchief peeking out from your breast pocket will surely make all the difference! 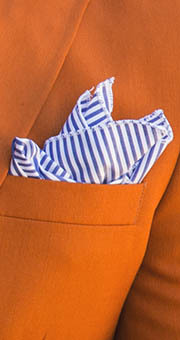 If you are going for a simple motif, a hint of shine will turn boring into elegant without compromising masculinity. 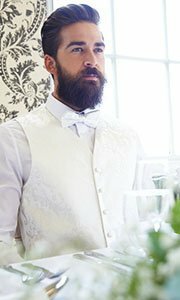 A platinum or silver bow tie will definitely give you that subtle sparkle to turn heads on your wedding day! Isn’t it moving how the male leads on romcoms always whip up the most romantic vows spontaneously on their wedding day? Well, that’s not *always* the case. If you will be delivering your own vows on the ceremony, you must transcribe it. Avoid the embarrassment for you and your wife-to-be by collecting your thoughts in advance. 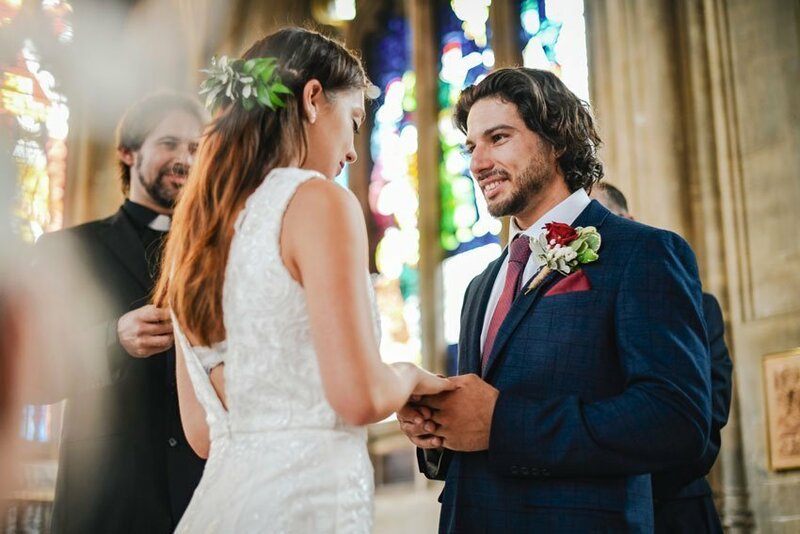 Keep in mind that your wedding vows will be something both of you and your bride will relive in the years to come, and an oath of genuine love. Once you had it all written, have some time to practice it. You also might want to memorise some important lines so you can tell them directly to your bride while looking in her eyes instead of reading from your copy. This will surely add a heartfelt moment on the this special event. This is also something you have to book in advance for it to be flawless. Traditionally, planning the honeymoon was the groom’s responsibility. But nowadays, couples tend to plan it together. Whether you are both involved in the planning or not, you can always give an extra mile to plan out little surprises for your wife. It’s best that she won’t know it until you both get there. Be adventurous, have fun, and of course, take this time to relax and to unwind. After all the stress and hard work you put up with the wedding preparation, both of you deserve to pamper yourselves as a newly wedded couple. Planning a wedding can be very stressful. So as a groom-to-be, you have to be there for your bride. Communicate and embrace each detail, because it’s your day, too. Shop now here at DQT for matching wedding sets and men’s essentials that will surely help you jumpstart your wedding preps!